There seems to be a common misconception about nonprofit organizations: we fear data, innovation and the success of other organizations. While I cannot speak for other organizations, I can attest that is not the case at Heifer International. 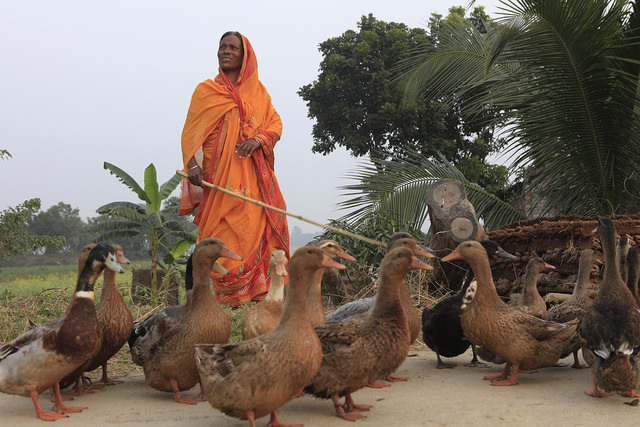 Heifer has worked with smallholder farmers for more than 70 years. In that time, we have not only evolved our model, we have also honed how we measure the impact our work has on the families and communities with whom we work. Historically, we have approached data as practitioners. We want to be efficient and effective with our limited resources, so we use data to tell us if what we think will work is actually working. When we learn we were wrong about a component of our project, we adjust course. When we discovered that small, scattered projects were costly to implement and low in impact, we began scaling up our efforts to keep operational costs low and increase the likelihood of impacting more families. This is responsible nonprofit management. We even take our evaluation methods to the next level: we train our project participants how to evaluate themselves. Self-help groups and cooperatives receive training in what we call participatory self-review and planning (also known as self-evaluation). Because our focus is on sustainable development, we need participants to have ownership and accountability. This training allows them to refine their own community progress for as long as they choose. A number of years ago we had a project in Nepal where the families were so encouraged by the income they generated from selling their goats' milk, some of them neglected their children's nutrition, in favor of the income. This is not a response we typically see, and it was through data analysis that we detected it and were able to help the community course-correct. Organizations like ours need to be transparent about times when our interventions do not go as well as expected so we can promote learning. Over the past several years, the demand has grown from the outside world for data so we can "prove" that our model works. We have had a strong focus on improving our organizational systems, including outcome monitoring, for the past four years. We have baseline data from 70 projects in 23 countries and are working to publish this report. We engage in development efforts with a sense of humility, recognizing the enormous contribution of project participants and their commitment to changing their livelihoods. We do not enter the field of development with missionary zeal, expecting to convert people from poverty to prosperity. Hence our data collection is keenly focused on the work people do to create their own change, rather than exclusively on our organization's efforts. We have also worked with third-party evaluators to determine our impact. Something often left out of the conversation is the fact that data collection is expensive. And, unless you can find someone else to pay for it, monitoring and evaluation counts toward overhead, which is something the general public decries. Heifer interventions resulted in improved socioeconomic status and household income per family member. Children under 60 months of age in the intervention group had greater incremental improvement in height-for-age and weight-for-age z-scores than children in the control group, and longer participation in Heifer activities was associated with better growth. 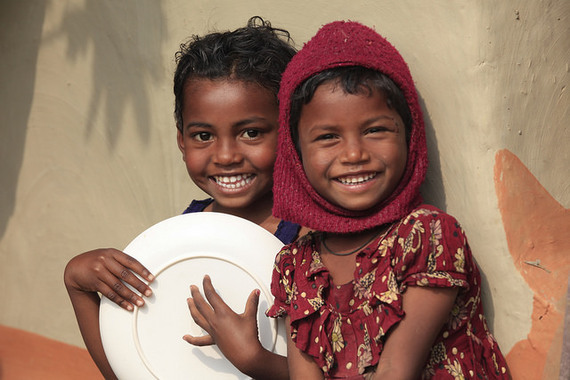 Poverty alleviation programs, such as Heifer, may indirectly benefit child growth. Heifer International's livestock donation programs in Rwanda have favorable impacts. Households that receive a dairy cow consume a more diverse diet than non-recipients. Children in those households exhibit improved height- and weight-for-age measures. Households that receive a dairy cow have nearly triple the dairy consumption of control households. Households that receive a goat have nearly double the meat intake of control households. Children in those households exhibit improved weight-for-height and weight-for-age measures. Due to Heifer International's expenditure of about $7 million over six years, about 8,500 Ugandan families are likely to experience income gains exceeding $8.5 million a year on an ongoing basis and asset gains of about $17 million. About 5,500 of their children are likely to avoid stunting due to nutritional shortfalls. For each $1 expenditure by country programs in Albania, Nepal and Uganda, households can be expected to gain about $2.35, $1.19 and $1.25 in the respective country programs on an ongoing basis once the projects reach the maturity profile of those included in the evaluation. And as I mentioned recently, we are participating in a third-party, randomized controlled trial project. We were also quite encouraged by the study recently published in Science, which provided evidence that a livestock-centered, asset-transfer model is successful at moving people out of poverty over the long term. At Heifer, we aim to be an organization built to change, not built to last. We combine what we know works -- providing livestock and training in sustainable agriculture to communities of smallholder farmers -- with new approaches and technologies. We are pushing our organization, and encouraging others to join us, to adopt locally relevant, livable incomes as the threshold for successfully ending poverty, as opposed to the universal $1.25 definition of "extreme poverty." We have committed ourselves to helping at least 4 million families achieve livable incomes by 2020. We don't want to simply see farmers marginally improve their livelihoods. We want them to thrive and have secure futures in the business of feeding the world's growing population while repairing the environment and being resilient to future shocks. So we will not accept anything less as a measure of success. That is how we will meet our mission and put ourselves out of work. We know we will not do it alone, either. It would be foolish to claim any single organization's approach as the one-stop shop for hunger and poverty eradication. We want to celebrate the successes of other organizations and find ways to work together. Something many readers may not even realize is that, although international nonprofits appear to be competitors in the public, fundraising arena, on the ground -- where the rubber meets the road, so to speak -- many of us collaborate in very successful partnerships. For example, we are working with Oxfam Great Britain in Zambia on a project to eradicate extreme hunger and poverty for 4,000 smallholder-farming households through improved soybean and dairy production and strong connections to markets. And in Ghana, we are working with World Vision and other partners to help 1,500 smallholder farming and fishing families increase their incomes and improve their nutrition through poultry, beekeeping and vegetable production, among other interventions. Global hunger and poverty are monumental issues with complex causes and solutions. The success of one organization should be viewed as the success of the sector. Additionally, the ultimate success is not of the organization, but of the project participants. Our work over the past 71 years, coupled with third-party evaluations, gives us evidence that when people are transformed and empowered, they soon become a strong force that advocate for the needs of their communities and can move themselves from poverty into prosperity. Photos courtesy of Heifer International.